Olivia Smith won three individual events on Tuesday to lead Bishop Gorman’s girls track team to victory in a three-team home meet. Smith won the 300-meter hurdles in 51.28 seconds. She also posted a mark of 16 feet to claim the long jump, and won the triple jump with a leap of 34-9. Jill McPherson-Kellogg won the shot put (34-10) and discus (113-6) for the Gaels, who finished with 101 points. Spring Valley was second with 59, and Clark had 14. Gorman’s Bernadette Daez won the 1,600 (5:51.89) and ran on the winning 1,600 relay team. Spring Valley’s Aja Melo-Powell was first in the 100 (12.51) and 200 (26.2) and ran on the winning 800 relay team. Isabella Iacob won the 400 (1:02.29), ran on the 800 relay team and placed second in the long jump for the Grizzlies. At Shadow Ridge, Ashia Martinez won the 100 (12.63) and 200 (26.02) to lead Arbor View to victory in a three-team meet. Makayla Rucks won the long jump (15-4½) and was second in the triple jump for the Aggies, who had 86 points. Shadow Ridge had 60, and Bonanza finished third with 32. Zsofia Simon won the 100 hurdles (16.01) and ran on the winning 1,600 relay team for Shadow Ridge. 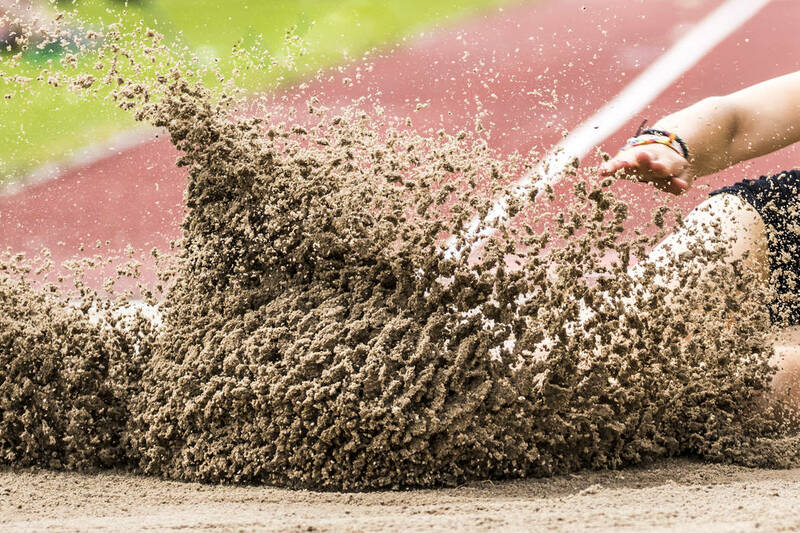 Amari Washington won the triple jump (34-4) and was second in the 100 hurdles for the Mustangs, and teammate Abigail Zuhlke won the discus (108-3) and was second in the shot put. Bonanza’s Cindylou Rasiang won the shot put (30-10) and was second in the discus. At Cheyenne, Aniya Smith and Renee Smith each won two events to lead Rancho to victory in a four-team meet. Aniya Smith won the 100 (12.44) and 200 (24.75), and Renee Smith was first in the high jump (4-2) and triple jump (27-7½). Renee Smith also was third in the long jump and fourth in the 100 hurdles. Rancho had 173 points to beat Cheyenne (129), Canyon Springs (127) and Founders Academy (2). Canyon Springs’ Bonee Harden won the shot put (31-5) and discus (71-3). Alejandrina Delacruz won the 800 (2:50.73) and was second in the 1,600 for the Pioneers. Cheyenne’s Bryana Mejia won the 1,600 (6:17.56) and was second in the 800, and Ariyanna Burns won the pole vault (8-6) and tied for second in the triple jump for the Desert Shields.